We girls like some bling factors in our lives—diamonds, after all, are a girl’s best friend. Nowadays, nail art has become so popular that every day we come across some new nail trends that are floating around in the fashion world. 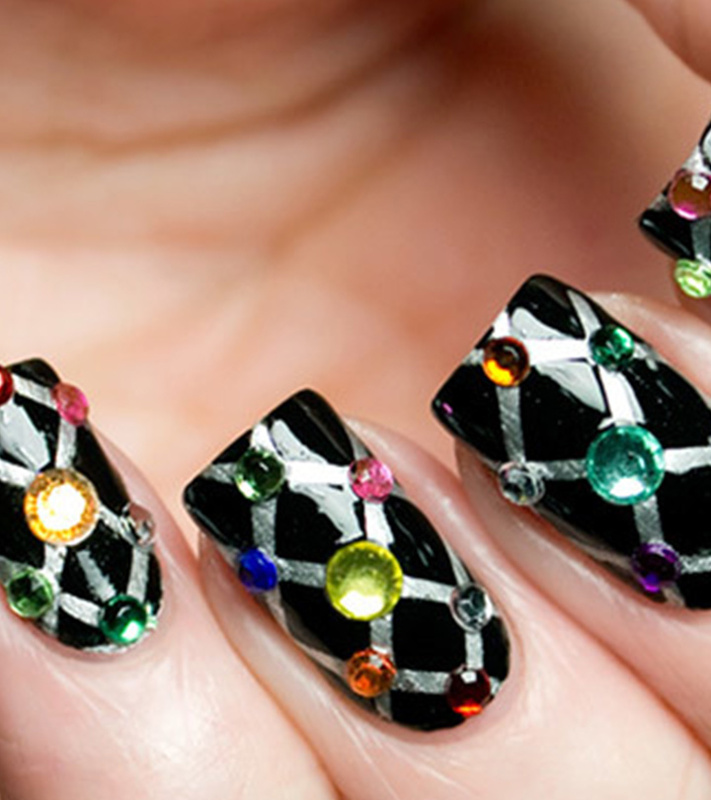 But when it comes to dazzling nail design, which one catches everybody’s eye? 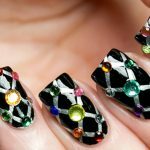 Well, we girls are ever ready to learn something new, check out our top picks of some awesome rhinestone nail art designs! Here are presented some of our favorite designs and quick tips to achieve these nail looks and make a statement—after all every girl likes to dazzle and shine. Oh my God! This nail design is absolutely gorgeous. It includes half nail silver glitter gradient and different sizes of round rhinestones on each nail. Then on the accent nails it has a large diamond shaped glitter outlined by small silver beads. They actually look like diamonds. Just stunning! This is such a simple design and could be achieved by using different colored rhinestones. Apply the rhinestones to their color to create a gradient effect. They sure are eye-catching. This nail art design is super girly. It can be achieved by making pink colored French tips and below that, applying rhinestones of various sizes. On the accent nails, there is a pink bow to make the design party appropriate. This is such a fun design to wear on your nails. This look can be achieved by making a quilted pattern on the nail using a striper nail art brush or using some striping tape or scotch tape cut into thin pieces. After the quilted pattern is achieved, apply rhinestones wherever you feel like. This is a bright nail design with flowers perfect for spring and summers. This look can be achieved by making some bright colored French tips and some flowers, either painted freehand or using some flower shaped nail stickers. To compliment the look there are rhinestones of the corresponding color. I just love everything glittery and this design is like a glitter bomb on the nails! 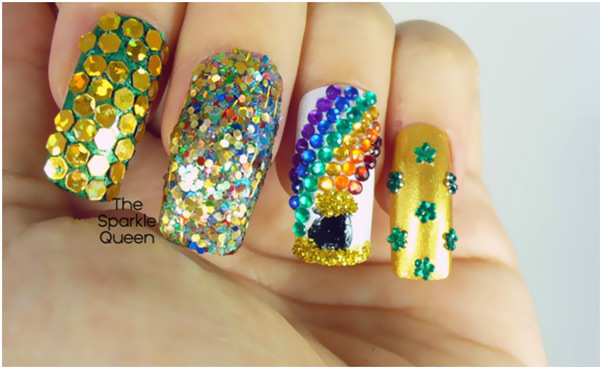 For the accent rainbow rhinestone nails, just apply different colored rhinestones in the shape of a rainbow and on the other nails apply the glitter of your choice. This nail look is clean and simple. To achieve the above look, just apply a sheer pink polish on all your nails and then apply the flower shaped rhinestones wherever you want to place them. I am so in love with this design! This is a super easy nail art look to achieve. All you need is some clear polish or nail glue and different sizes of clear rhinestones. 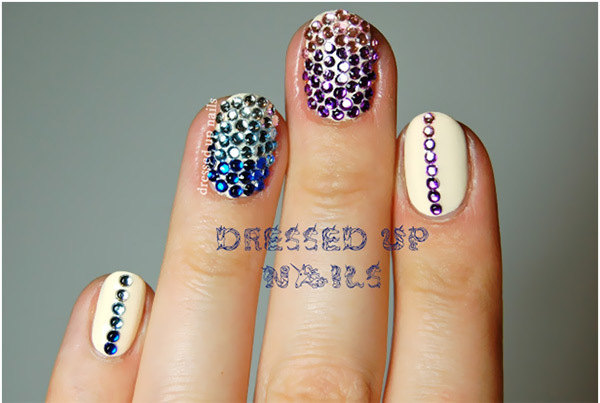 Make a French tip by placing different sized rhinestones on your nail until you are happy with the look. 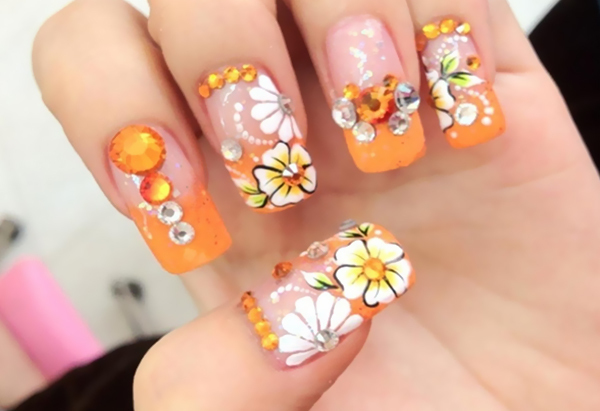 This is also a pretty nail art look, which can be achieved by using some readymade acrylic flowers and rhinestones complimenting the colors of the flowers. In case you do not have acrylic flowers, then place some fimo cane flowers. 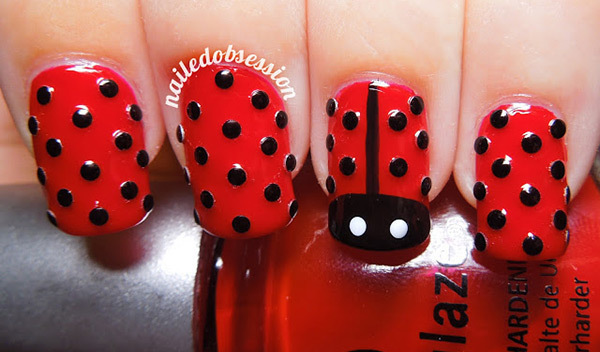 This is a glamorous take on the simple lady bug nail design. To achieve this look make a black tip on you nail and then a black stripe going down the middle of your nail. Make 2 white spots for the eyes of the lady bug and then add some nail studs for the spots of the lady bug. 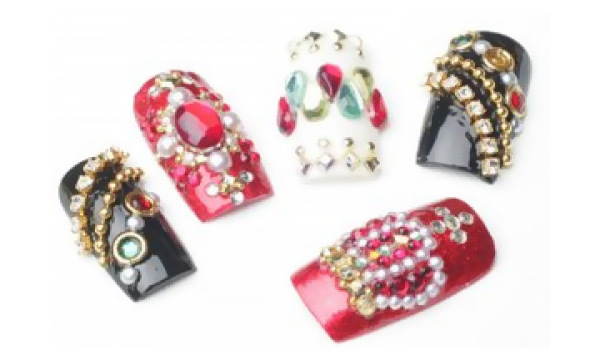 Hope you liked all the rhinestone nail art designs. Try them and be ready to dazzle the world! Do you like nail art? Which is your favorite nail art design? Do share with us in the comments section.